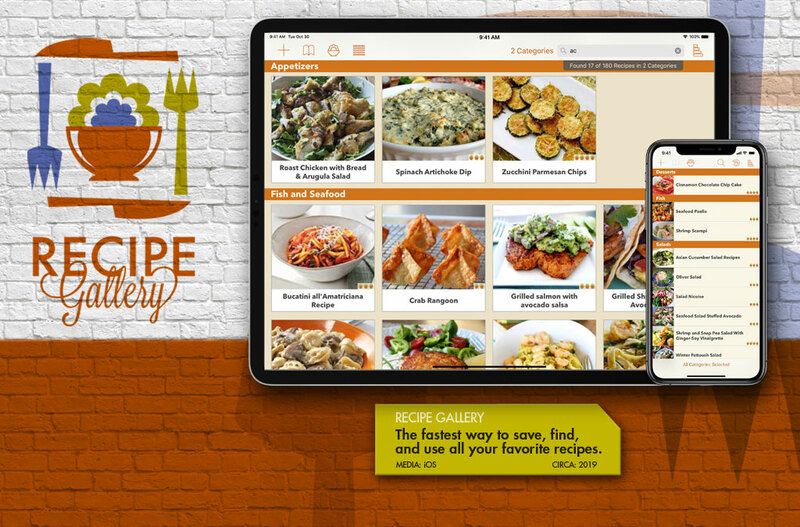 Recipe Gallery helps you capture and manage recipes from cookbooks, magazines, recipe cards, and the Web. 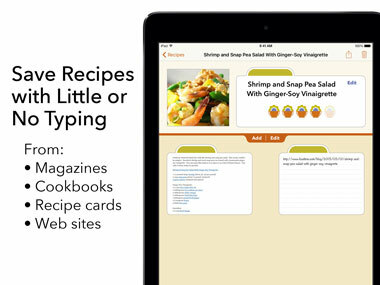 Organize all your recipes into one place on the iPhone and iPad with little or no typing. We all want to organize our recipes, but no one wants to retype them. 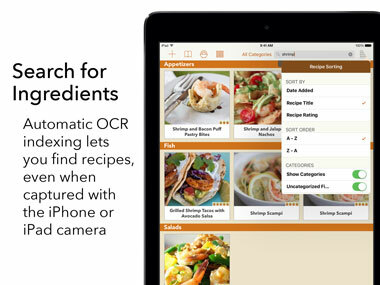 Recipe Gallery uses the camera of your iPhone or iPad along with modern optical character recognition (OCR) to capture, index, and store your recipes in an easy to search and use format. You can also use the Web browser in Recipe Gallery to save recipes from the Web in a permanent way. All the recipes in your Gallery can be searched with one easy to use search field. You can quickly find the one recipe you need or browse just the recipes that have the ingredients you have on hand. It doesn't matter if the recipe came from the Web, or was captured from a magazine with the iPhone or iPad camera, they are all searchable. 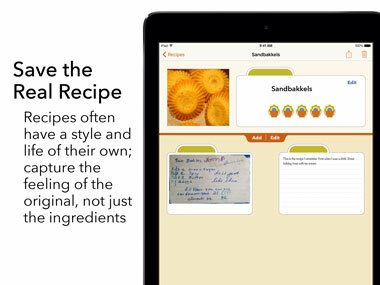 Recipes can be organized into categories, and the categories can be customized to fit your needs. Everyone seems to be taking pictures of their food these days. Now you can combine that in a useful way with your recipes. The still life images from your recipes make browsing for a recipe enjoyable and may just spark your memory or imagination. There can be more to a recipe than just ingredients and instructions; your favorite recipes may have a style and life of their own, as a friend's handwriting, stains from use, or little added notes in the margin all add to that recipe and make it uniquely yours. 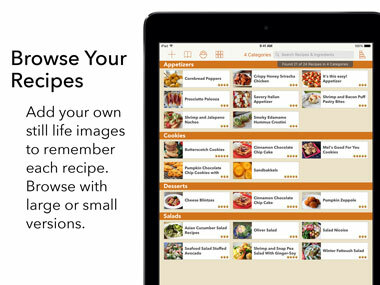 Using your saved recipes is easy with the full screen iPhone or iPad view. 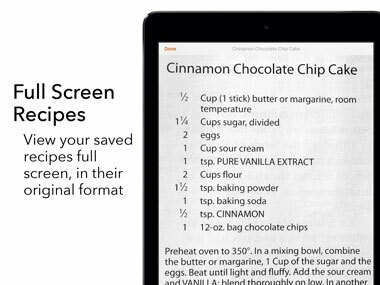 Even recipes from cookbooks and magazines, often small and hard to read while cooking, can be zoomed and displayed full screen.